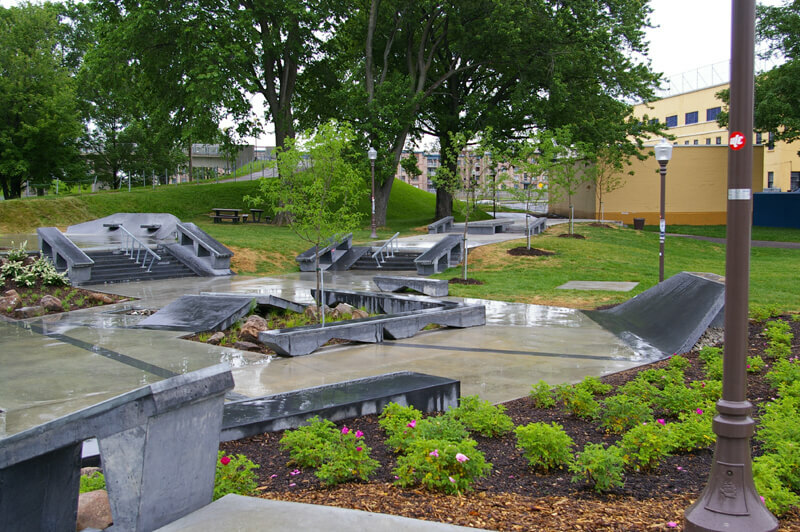 With lead design completed by Spectrum Skateparks (now fully integrated with New Line Skateparks), this park pulls from the latest trends in plaza and transition construction to arrive at a truly inspired design. The architectural fabric of Quebec City may be better characterized as a juxtaposition of 300-year-old stone buildings and today’s chic buildings. 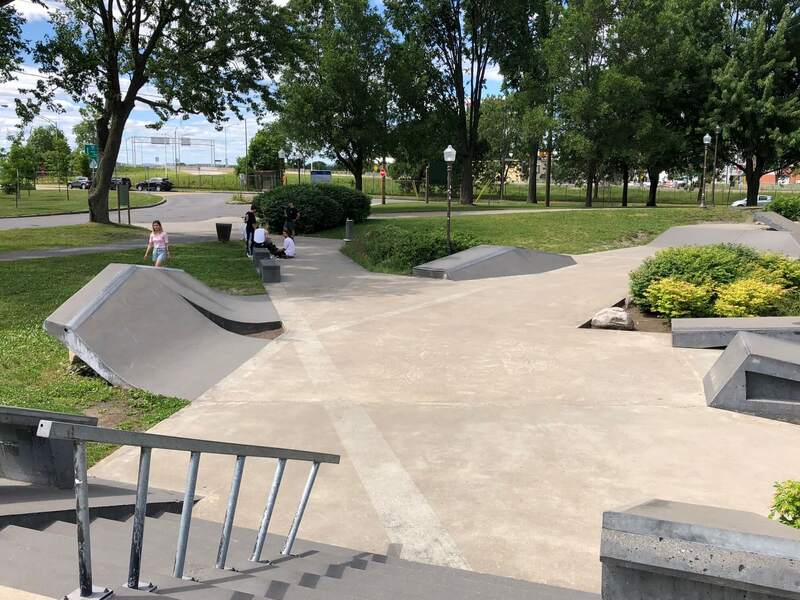 Thus, rather than making obvious references to “Old Quebec” as we see in the tourist guides, we were inspired by the city of Quebec as it is today, celebrating the harmony of old works with sides of new dynamic buildings. To this end, we have included a more formal entrance and colors inspired by Old Quebec stone, associated with contemporary and smooth artistic forms. 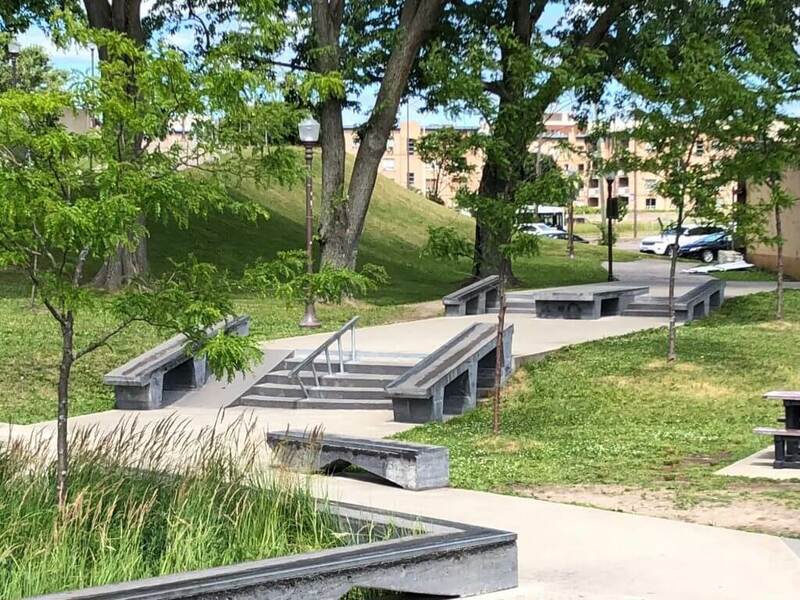 A modern plantation plan and trails dotted with references in Old Québec and numerous observation areas will make this park a true modern skateboarding area: a place where everyone can gather, not just skaters. 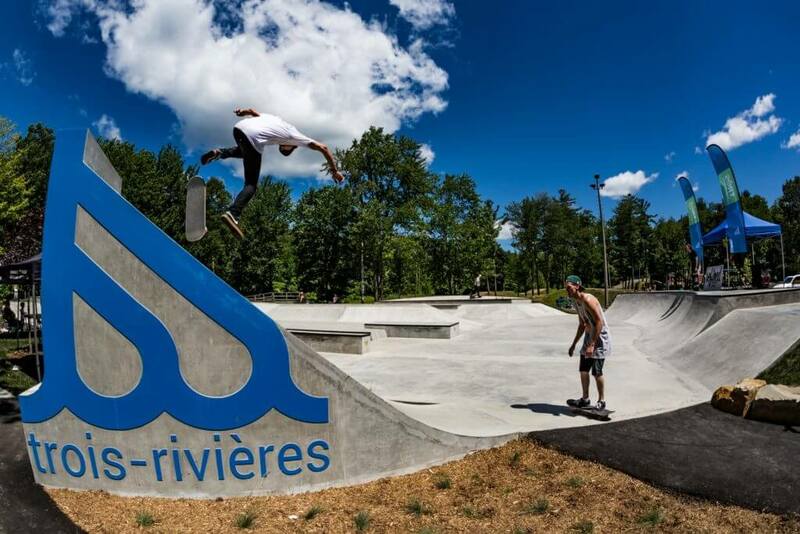 For riders of all abilities a there is the pool coping, spine, hips, extensions and over-vert in the bowl.